Accidents and injuries involving motorbikes are a serious issue on British roads. According to Think!, motorcyclists make up just 1% of total road traffic, but account for 19% of all road user deaths. Think! also say that, per mile ridden, motorcyclists are around 38 times more likely to be killed in a road accident than people who are travelling in a car. Nine out of ten motorists admitted to finding it hard to see motorcyclists when driving, with 55% saying that they are often ‘surprised when a cyclist appears from nowhere’, according to an AA Populus poll. Thanks to these figures it’s easy to see how roads can be such a dangerous place for motorcycle users. Junctions are particularly dangerous for motorcyclists, which is why it’s vital for car drivers to make sure that they stop and pay extra attention around these vulnerable areas. Think! say that 30 motorcyclists are killed or injured every day at junctions, which highlights just how important it is for drivers to take longer to look out for motorbikes. If you’re approaching a junction make sure you take the time to look out for motorcyclists who may be pulling out too. Then, before you pull out, look again carefully for any passing motorbikes. Do the same when you want to make a turn in the car – miscalculating the speed of an oncoming motorcycle can be fatal. It’s important to remember that motorcyclists may not be immediately obvious. They could be behind the oncoming car you are about to turn in front of, and they may be attempting to overtake that car. This is why it is so important to always look and look again, to make sure it is clear to turn. Drivers have a responsibility to make sure that all road users stay as safe as possible, including motorcyclists. Make sure that you keep a safe distance between yourself and any motorcyclists. 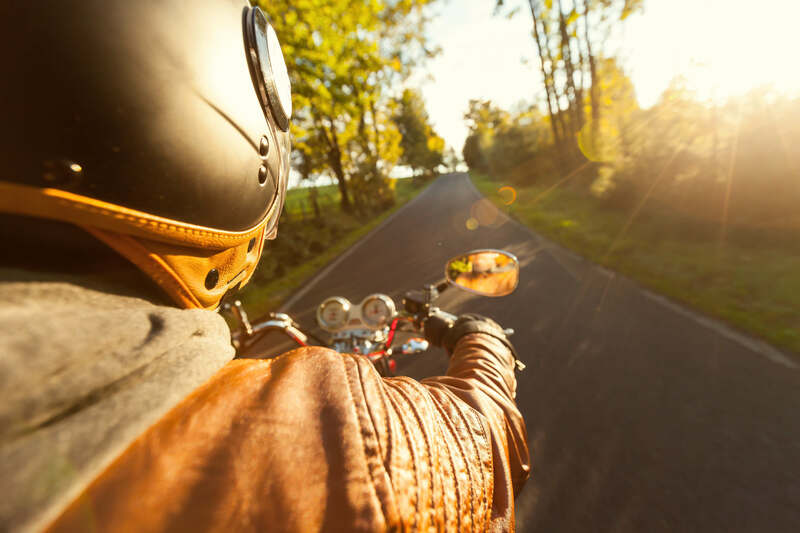 Driving too close can intimidate less experienced motorcyclists, and increase the likelihood of an accident. Keep thinking about motorcyclists once you’ve parked. Make sure you check for them before you open your car doors, and make sure that your passengers do the same. When you drive off, look specifically for motorbikes as they can accelerate faster than cars. Remember that motorcyclists could be on either side of you. Whether you’re turning left or right, make sure to double check all around your car for any motorcyclists that could be nearby. Also be aware that parked cars, or larger cars and lorries, could be blocking your view of a motorcyclist. Always think about your blind spot and check for motorbikes when you’re changing lanes or at a roundabout, as a motorcyclist could be in the space you are trying to move into, or they could be approaching that area at speed. According to The Crown Prosecution Service a driver involved in a collision in which a motorcyclist dies can be charged with causing death by driving. Those convicted of this crime can be sentenced to a maximum penalty of five years imprisonment, six months pre imprisonment, mandatory endorsement between three and eleven points, minimum mandatory disqualification of twelve months, and a discretionary re-test. If, however a person is charged with causing death by careless driving or by causing death by dangerous driving, they will incur all of the above sanctions but could also face up to 14 years in prison. When you’re focusing on what’s infront of you it can sometimes be easy to forget to pay attention to any motorcyclists around you. However, one small mistake can not only change the lives of a driver and the motorcyclist, but all the people related to those involved. That’s why it is so important to drive carefully, and to always pay attention on the road. One mistake could end in fatality – particularly with vulnerable road users such as motorcyclists. For more information on how to drive around motorcyclists, including how to keep other road users and yourself safe, check out our ‘Think Bike’ article here.